Reel Deal saw their lead in Sleaford and District Snooker League cut to six points after a heavy defeat to Electra B in the top-of-the-table clash. In week 25 the top fixture in the Barge and Bottle Division One was undoubtedly the clash between second-placed Electra B and the leaders and a remarkable match unfolded. Electra B went 1-0 ahead when Paul Clark outscored Jason Marriott 64-50, but Reel Deal C levelled through Garry Sharpe who won on a respotted black, 53-46, versus Gavin Robson. Electra B went back in front after a second respotted black saw Lewis Choularton defeat Craig Sentance, 52-45, and Wayne Brankin then won the match, beating Keith Southern 61-43. A third respotted black, a new feat in the league’s history, settled the game 52-45 in Anthony Wood’s favour against Simon Biggin to complete a 4-1 win as 511 points were scored in the match. Electra B are now in touching distance with three matches of the season remaining. Third-placed Electra A trailed 2-0 at relegation-threatened Wanderers, but battled back to win 3-2 after midnight and double their lead over Upholsterers in fourth place to four points. Scores: Alf Falconio 54-29 Joe Kerwin; John Butler 53-29 John Wheeler; Neil Price 51-81 Steve Caithness; Terry Wing 45-69 Ken Choularton; Mark Dewhurst 27-36 Stuart Hopkins. A great derby encounter played out at the Legion between Upholsterers and Legion A.
Kevin Spry earned best win of the week in frame one and 145 points were scored in frame two as Legion A went 2-0 ahead. 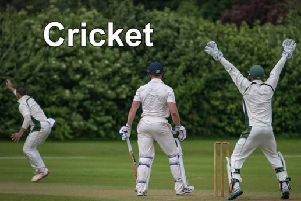 Upholsterers won frames three and four to send the match into a decider which Colin Brown crucially clinched for Legion A as they boosted their battle to beat the drop. Scores: Dave Woods 7-68 Kevin Spry; Spike Rushby 69-76 Paul Banks; Adi Taylor 53-51 Chris Creasey; Jason Partridge 66-35 David Brown; Graham Watson 10-57 Colin Brown. The week’s final match was a relegation contest between Electra S and Foundations. After sharing the opening two frames, Foundations went on to win the remaining three for a 4-1 away win which lifts them off the bottom and keeps both Electra S and Legion A involved in the relegation scrap. Scores: Michael Scott 39-48 Nick McCauley; Michael Smith 47-22 Rick Ansell; Chris Lawrence 25-53 Paul Stephens; Chris Gallimore 54-65 Ian Eynon; Doug Scott 35-69 Kevin Shaw. * Sleafordian Coaches Division Two leaders Legion P reached 100 points after shading Desperados 3-2. Scores: Andy Bainbridge 69-16 Kev Kopp; Dan Wilbraham 29-45 Paul Harris; Martin Osbourne 66-43 Liam Atkins; Dave Dawson 46-29 Logan Hazzard; Jason Zealand 31-49 Steve Gyles. Promotion hopefuls Reel B strengthened their second place with a 4-1 win at Heckington B. Scores: Nick Needham 17-47 Trevor Kenyon; George Tomlinson 16-73 Len Chapman; Philip Wootton 16-48 Shane Chapman; Roy Jackson 64-31 Matt Clements; Maurice Barnatt 34-50 Carl Dodd. Electra C climbed up to fourth following a 3-2 home win over Solo B On Tour. Brian Rudkin earned a match-winning best victory of the week in frame four. Scores: Roy Bennett 12-64 James Scott; Vic Rous 51-25 Fred Aisworth; David Martin-Taylor 61-12 Nick Kelly; Brian Rudkin 71-9 Alan James; John Sharman 22-54 Marcus Hrubesch. The week’s final fixture saw Polley E defeat visitors Unpottables 3-2, to narrow the gap behind them to four points. Scores: Ian Little 40-29 Paddy Harland; George Cran 15-59 David Gash; John Blow 49-38 Ray Black; Sid Hicks 61-27 Garry Nicholson; Terry Atkinson 30-61 Ben Kerrison.